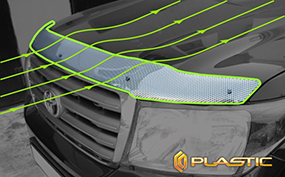 The hood deflector is intended to protect surface of car against mechanical damages of the forward part of a hood which is directly under the deflector and in its aerodynamic shadow. Door visors are located on the upper part of side doors. 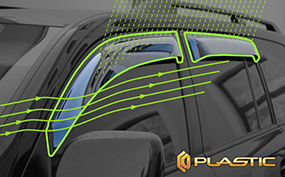 The unique design of door visors allows fresh air to naturally circulate through open windows while keeping the rain, snow and road dust out. 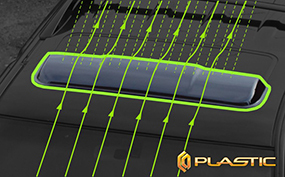 Sunroof visor is located on a car roof in front of sliding hatch and designed to prevent hit of rainfall inside the interior of the vehicle through slightly opened hatch. 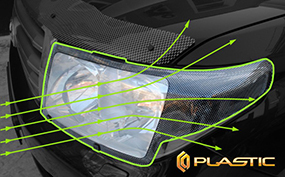 The headlight covers are designed to prevent various mechanical destructions of car headlights. Also this protection prevents blurred headlights, increasing lifetime of lamps.